Blue Buffalo Adult Cat Chicken and Brown Rice Cat Food is made and manufactured by The BLUE Buffalo Co. Blue Buffalo Adult Cat Chicken and Brown Rice Cat Food is part of the BLUE Spa Select product line. We are going to take a look at the first five ingredients of Blue Buffalo Adult Cat Chicken and Brown Rice Cat Food. The first five ingredients are a good indication of the quality of cat food. The ingredients before the first fat source usually make up the vast majority of the cat food. Deboned Chicken, Chicken Meal, Whole Ground Brown Rice, Whole Ground Barley, Oatmeal, Salmon Meal, Whole Potatoes, Chicken Fat (preserved with Natural Mixed Tocopherols), Natural Chicken Flavor, Dried Egg, Whole Carrots, Whole Sweet Potatoes, Cranberries, Blueberries, Flaxseed (natural source of Omega 6 Fatty Acids), Barley Grass, Dried Parsley, Alfalfa Meal, Kelp Meal, Taurine, L-Lysine, Yucca Schidigera Extract, Green Tea Extract, Turmeric, Salmon Oil (natural source of Omega 3 Fatty Acids), Black Malted Barley, Oil of Rosemary, Vitamin A Supplement, Vitamin C, Vitamin E Supplement, Vitamin D3 Supplement, Beta Carotene, Calcium Ascorbate (source of Vitamin C), Vitamin B12 Supplement, Niacin (Vitamin B3), Riboflavin (Vitamin B2), Pyridoxine Hydrochloride (Vitamin B6), Thiamine Mononitrate (Vitamin B1), Folic Acid, Biotin, Choline Chloride, Calcium Chloride, Zinc Amino Acid Complex (source of Chelated Zinc), Iron Amino Acid Complex (source of Chelated Iron), Copper Amino Acid Complex (source of Chelated Copper), Manganese Amino Acid Complex (source of Chelated Manganese), Potassium Amino Acid Complex (source of Chelated Potassium), Cobalt Proteinate (source of Chelated Cobalt), Potassium Chloride, Sodium Selenite, Salt, Lactobacillus acidophilus, Bacillus subtilis, Bifidobacterium thermophilum, Bifidobacterium longum, Enterococcus faecium. Deboned Chicken - the clean combination of flesh and skin with or without accompanying bone, derived from the parts or whole carcasses of chicken or a combination thereof, exclusive of feathers, heads, feet and entrails. Whole Ground Brown Rice - the entire product obtained by grinding the rice kernels after the hulls have been removed. Whole Ground Barley - consists of at least 80 percent sound barley and must not contain more than 3 percent heat-damaged kernels, 6 percent foreign material, 20 percent other grains or 10 percent wild oats. Oatmeal - AAFCO definition unavailable. Are you a consumer of Blue Buffalo Adult Cat Chicken and Brown Rice Cat Food? 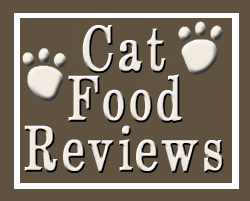 If so please take the time to rate Blue Buffalo Adult Cat Chicken and Brown Rice Cat Food. This will make it easier for people who are looking to purchase Blue Buffalo Adult Cat Chicken and Brown Rice Cat Food.